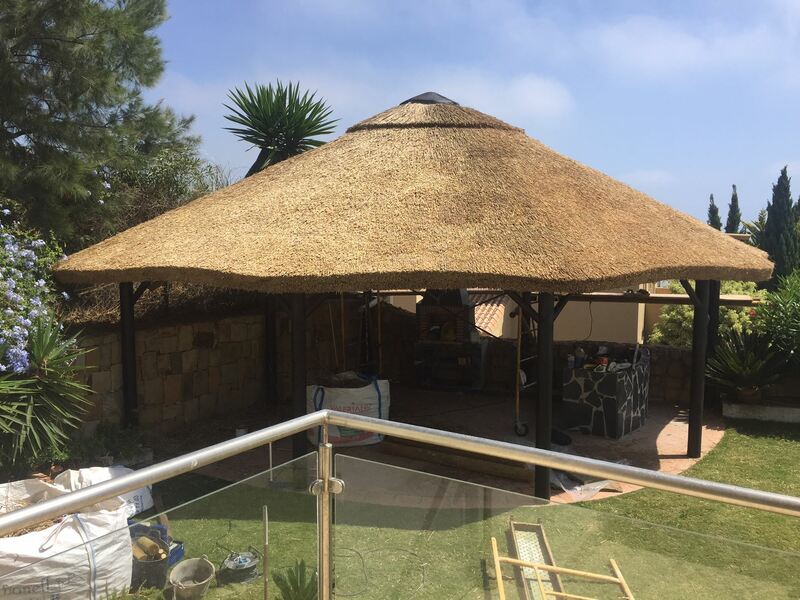 We are professionals in thatch gazebo and thatch roofing installation. 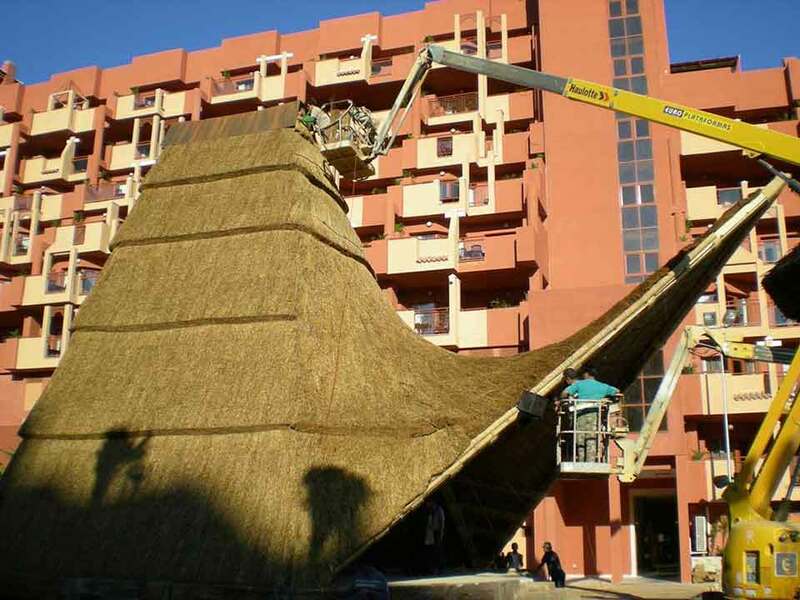 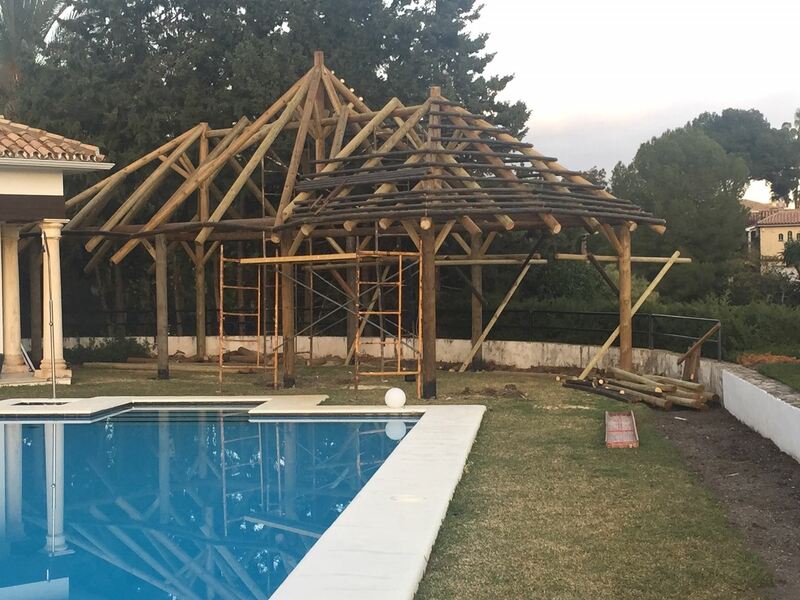 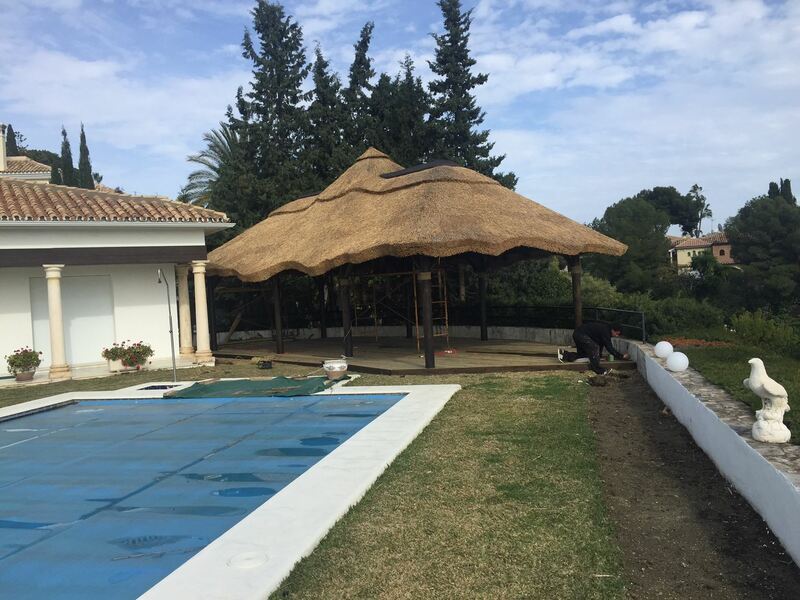 Our team is able to create the most exclusive thatch construction projects for houses, gardens, hotels, summer houses and restaurants. 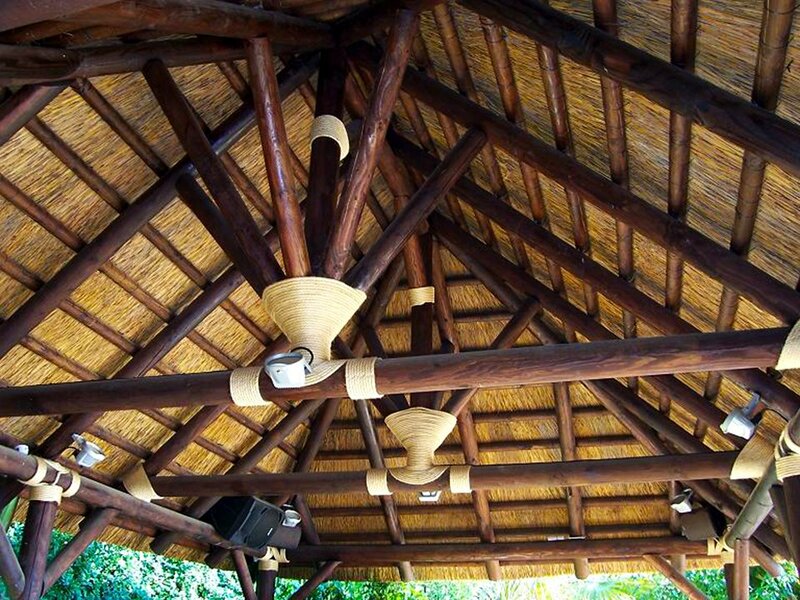 Thatch roof will make your pergola look unique and fabulous. 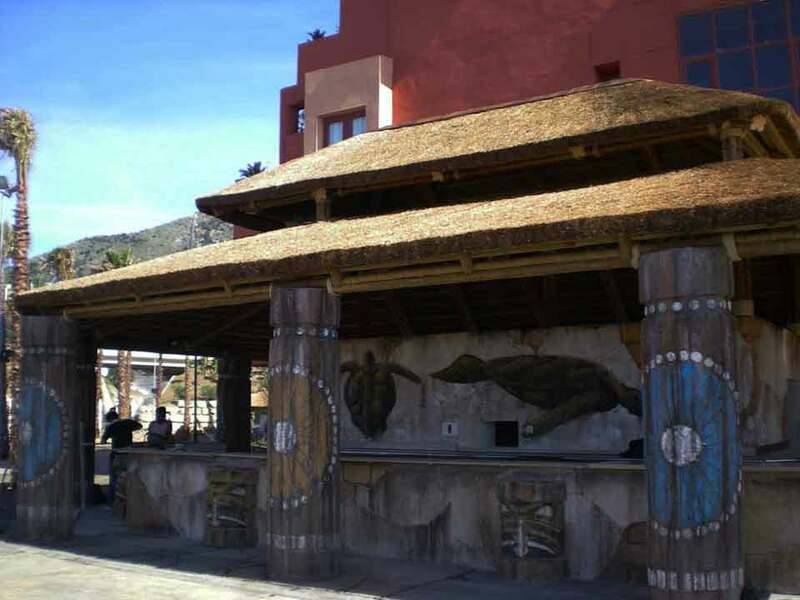 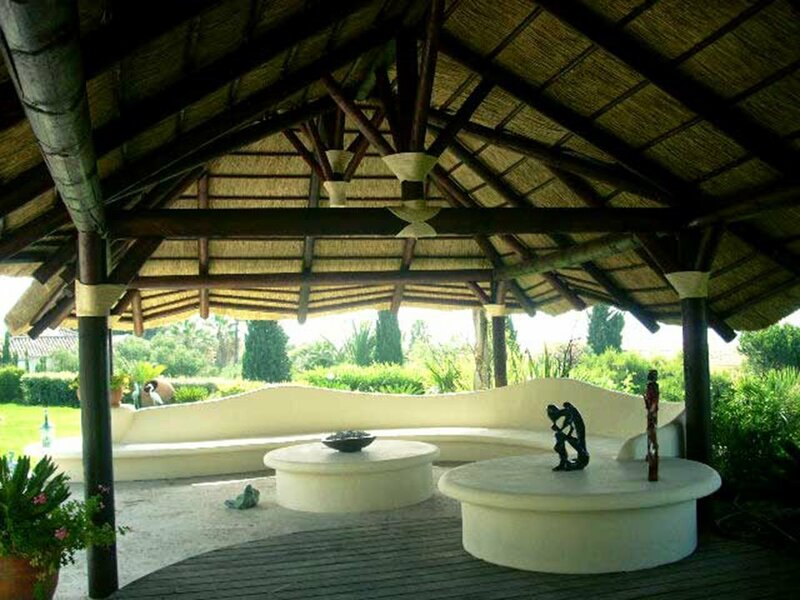 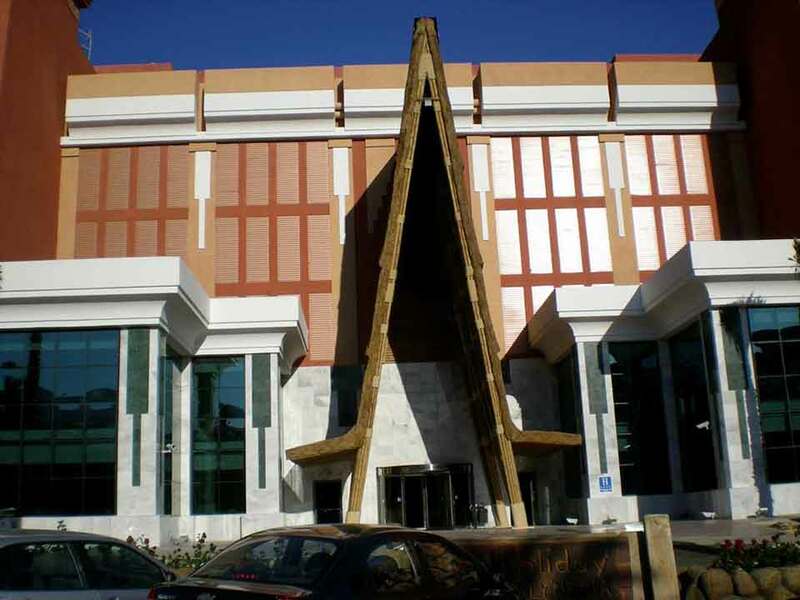 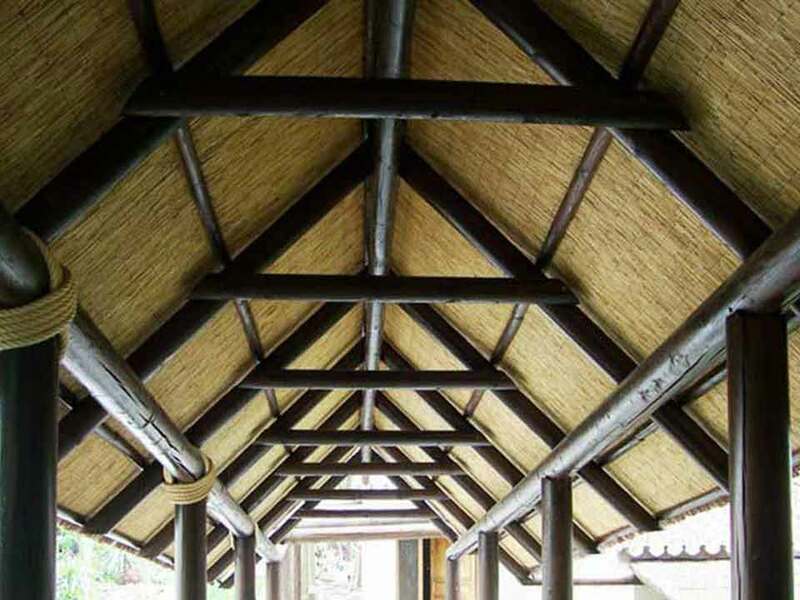 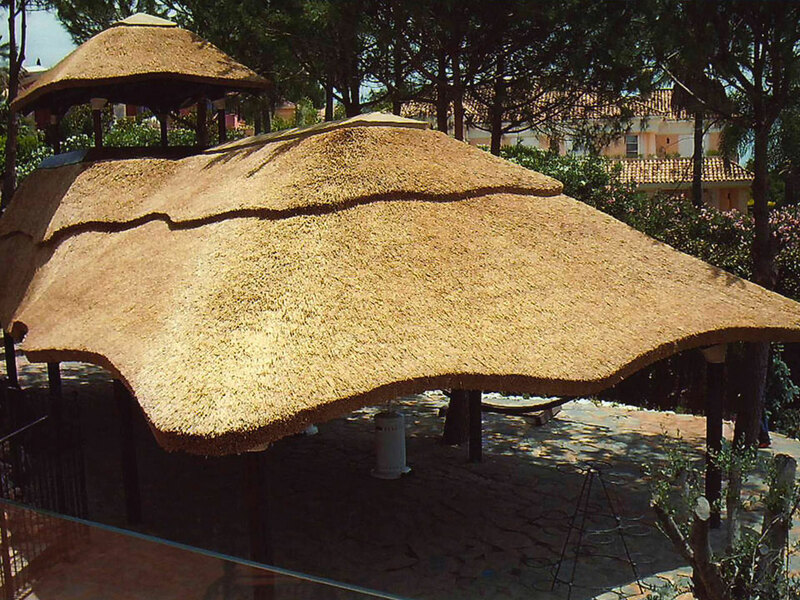 The African reed has been used as roofing material since the beginning of time, the African reed roofs is a traditional art handed down from father to son. 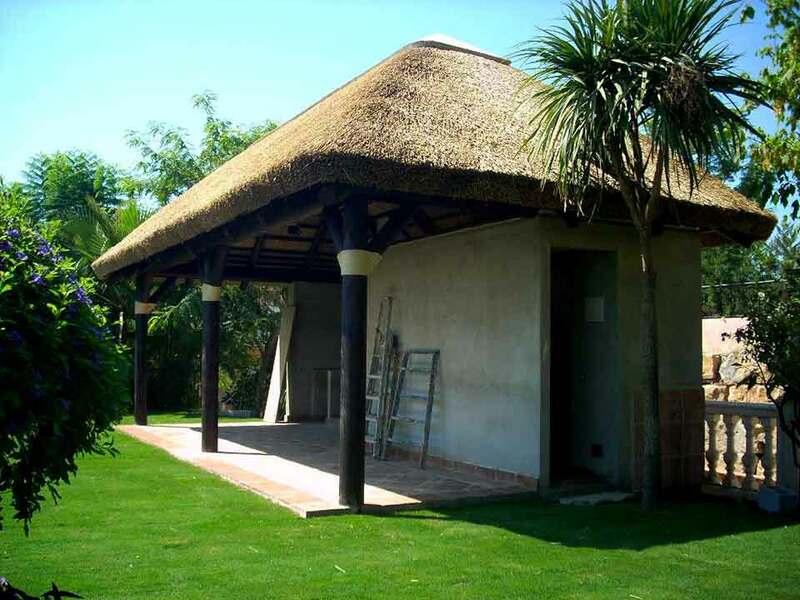 In Timber Design we use these traditional techniques improved with years to create best thatch projects. 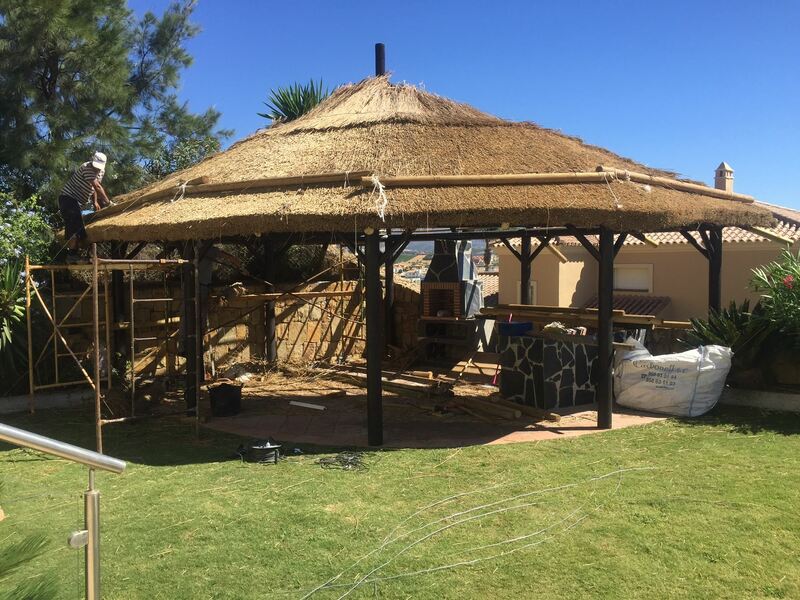 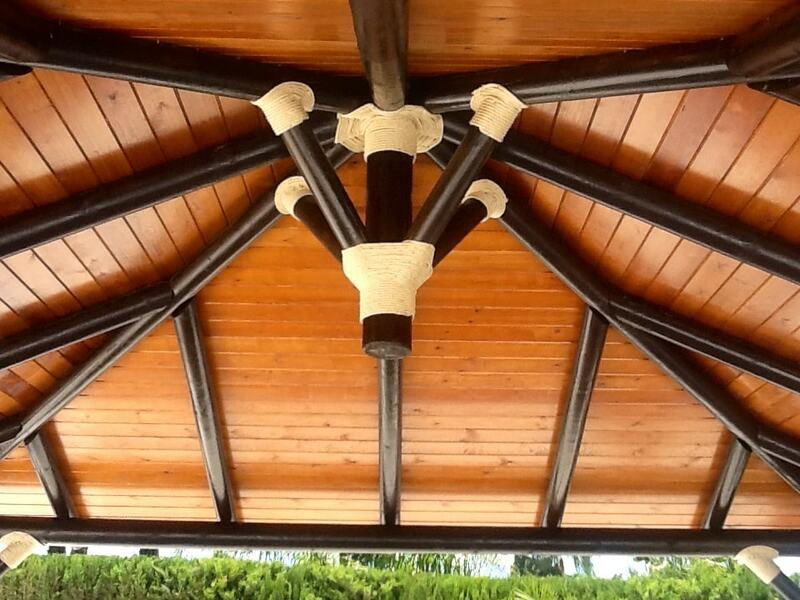 All this makes our thatched roofs superior in quality and appearance. 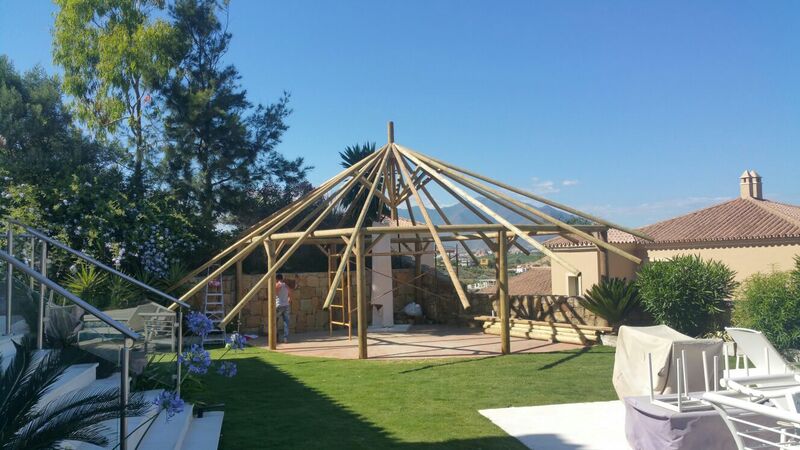 We can custom build your Pavilion, guest house or outdoor Gazebo to suit your specific requirements or project. 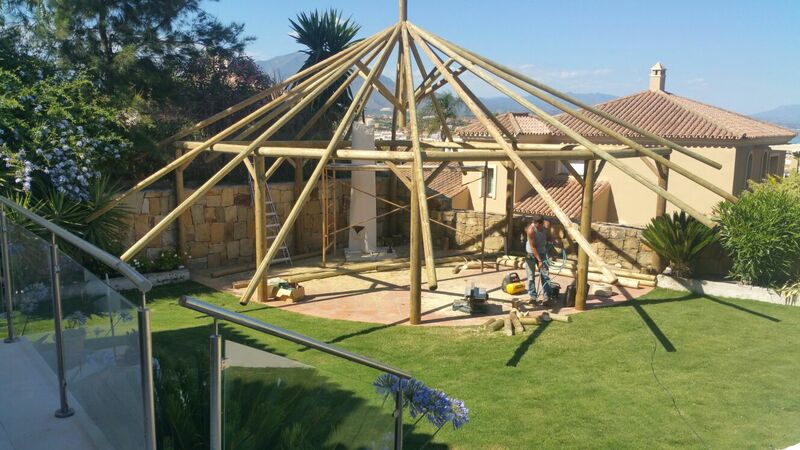 Our fully qualified landscaper and carpenter team will ensure each job is done professionally. 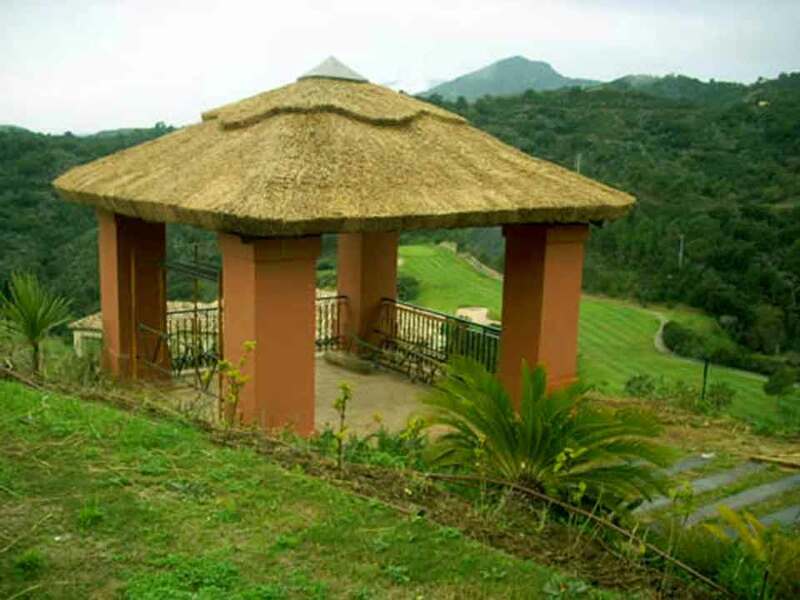 Thatching it is a very old roofing method and has been used in both tropical and temperate climates. 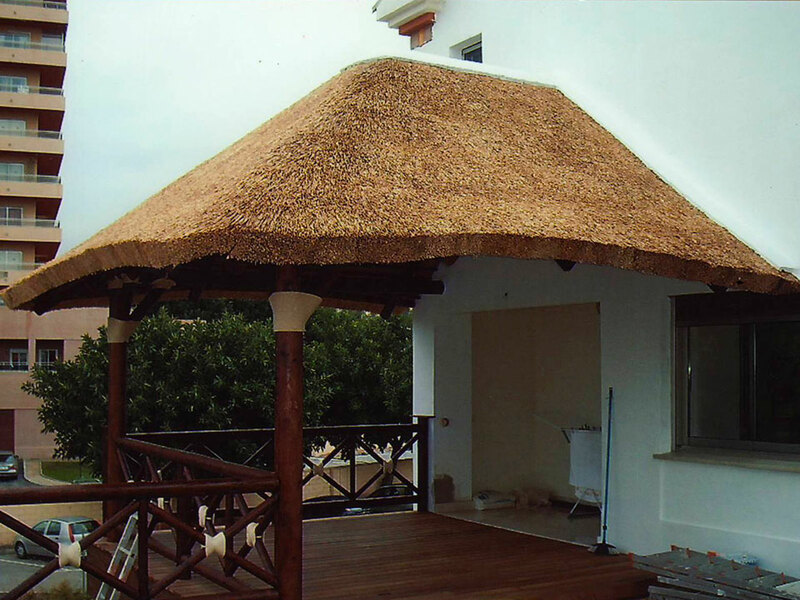 Thatching roofs are normally around 250mm (10 ") thick and are 100% waterproof. 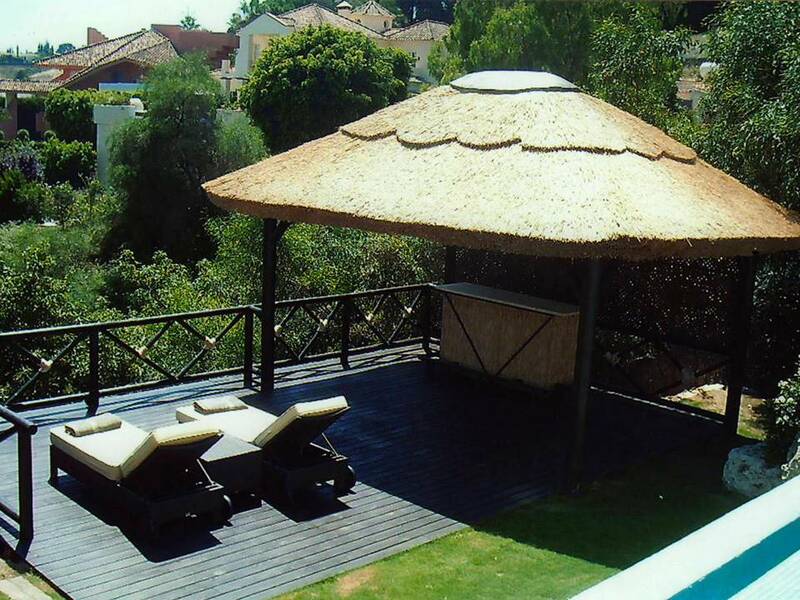 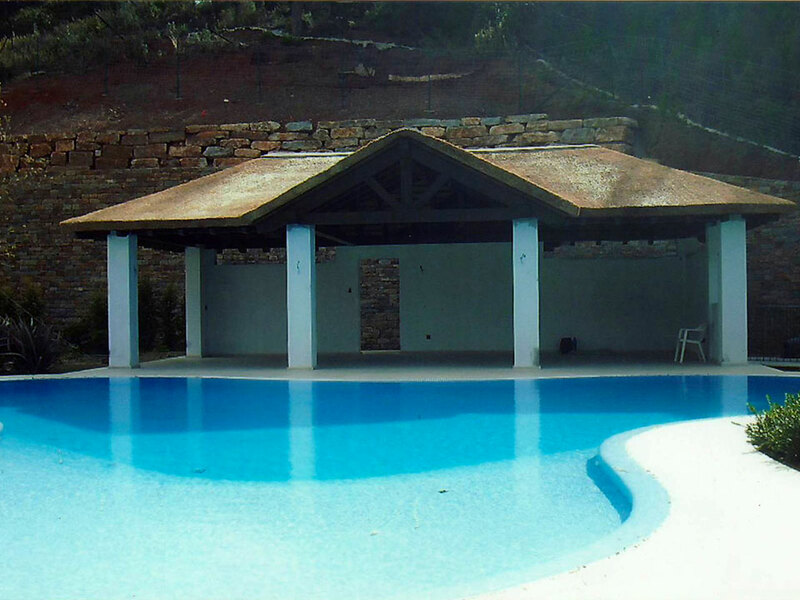 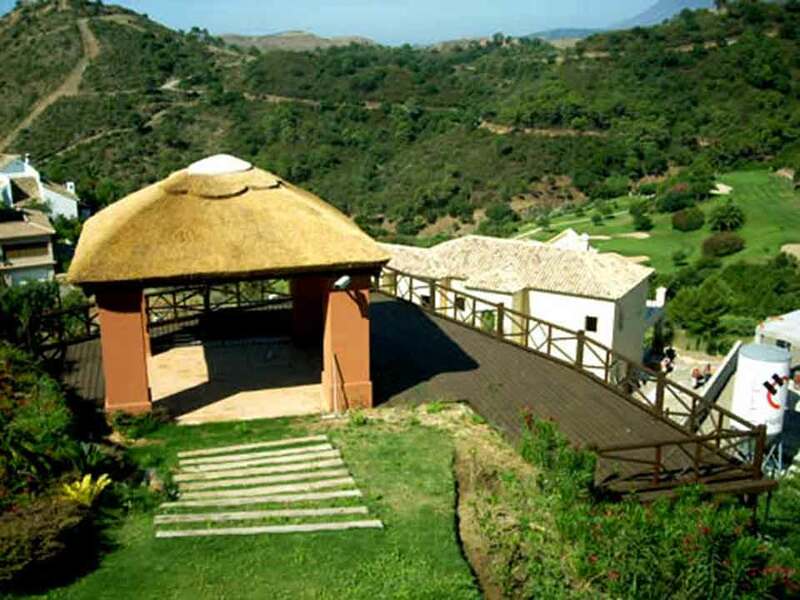 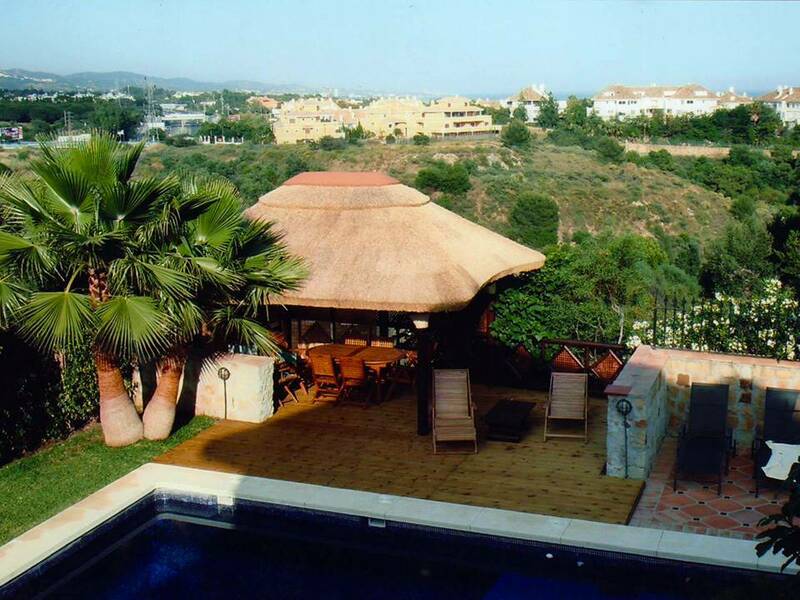 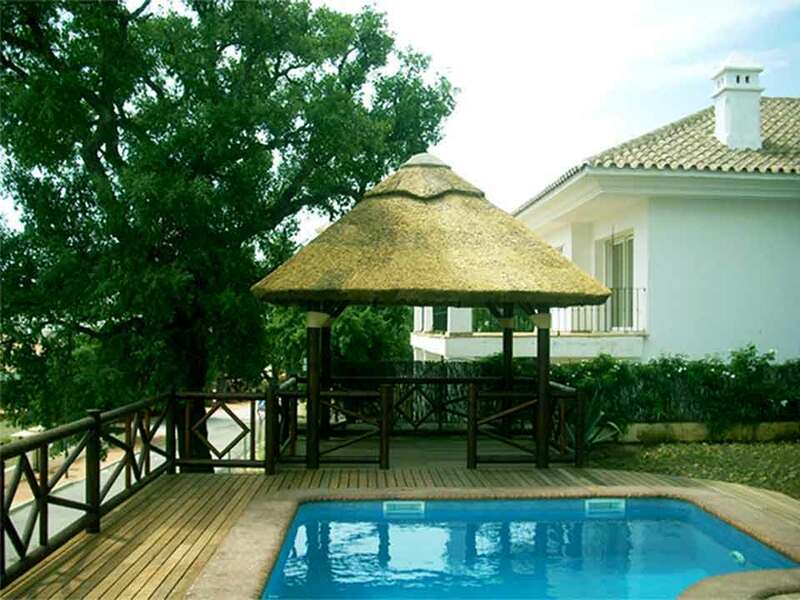 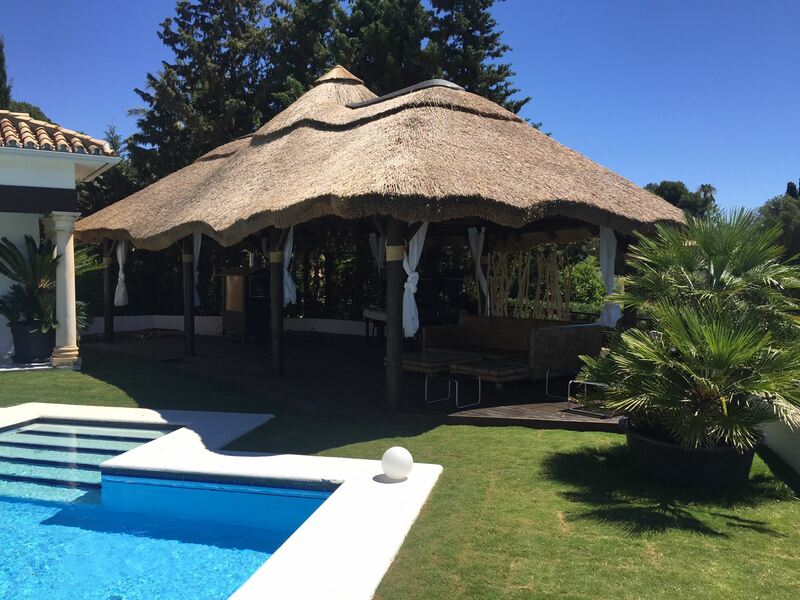 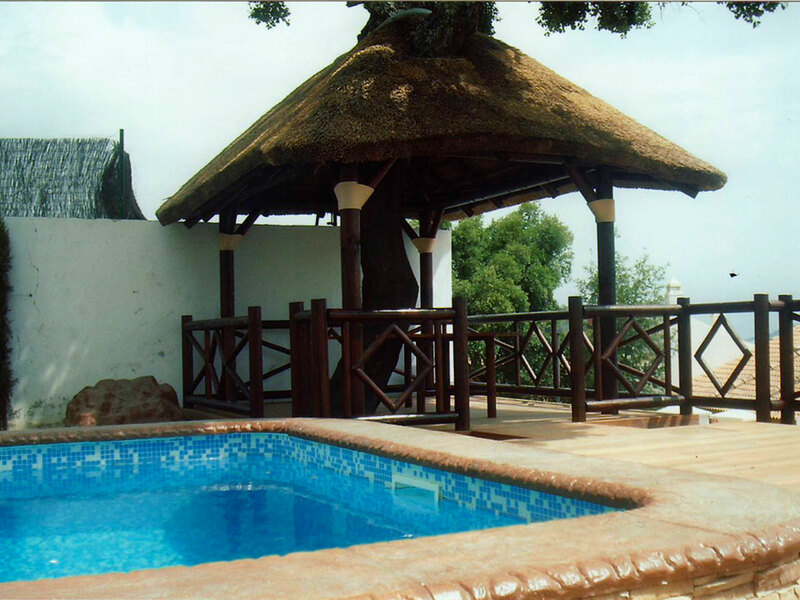 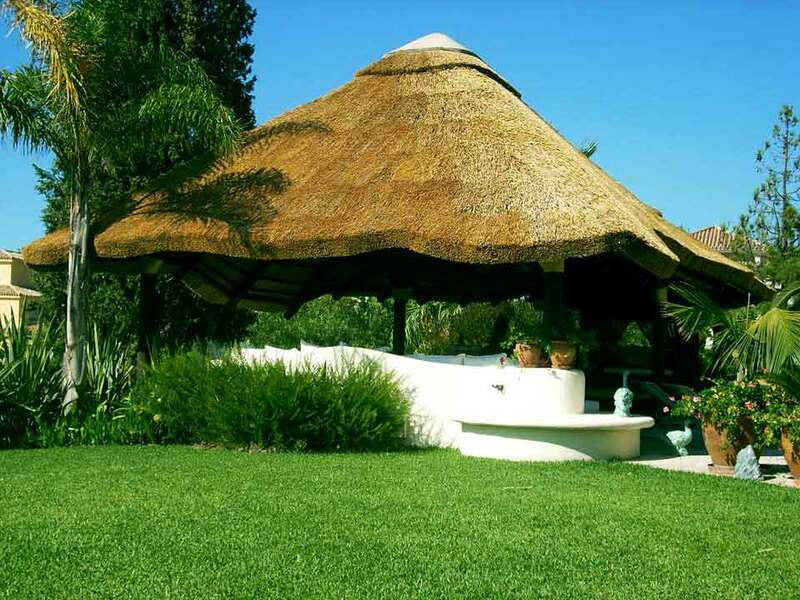 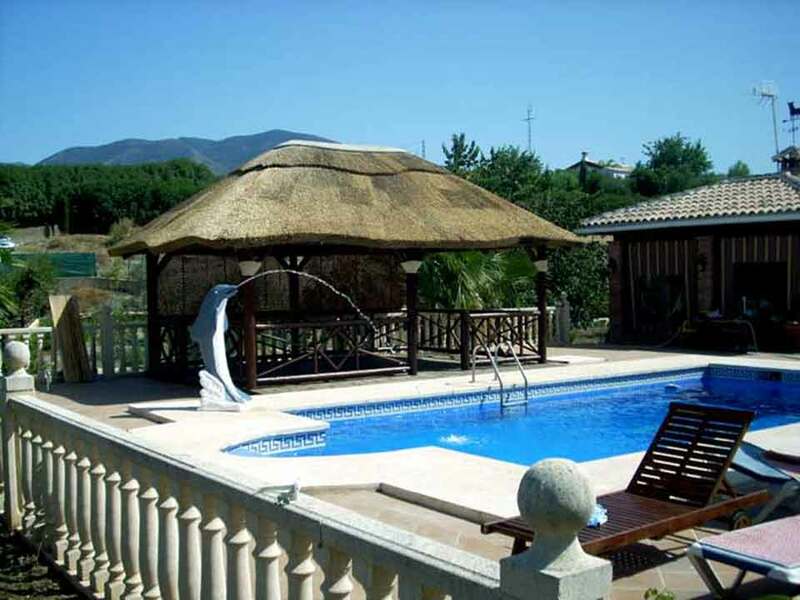 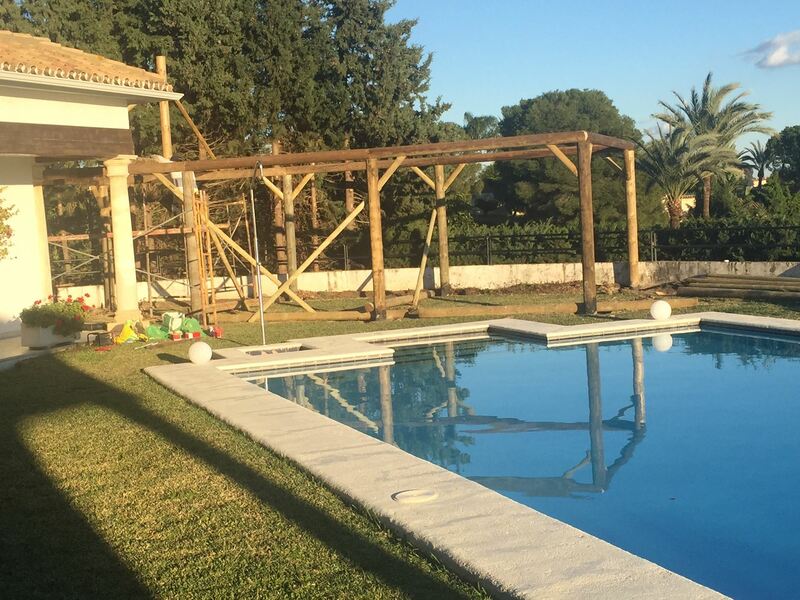 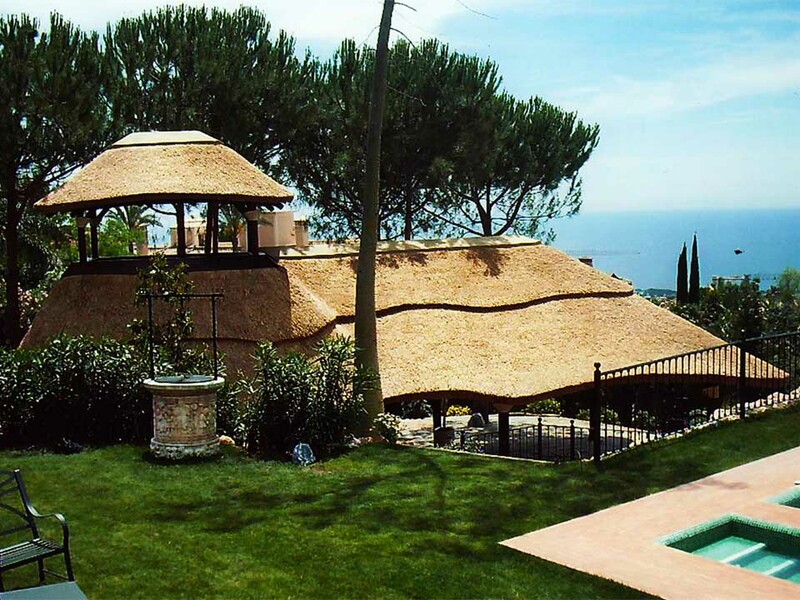 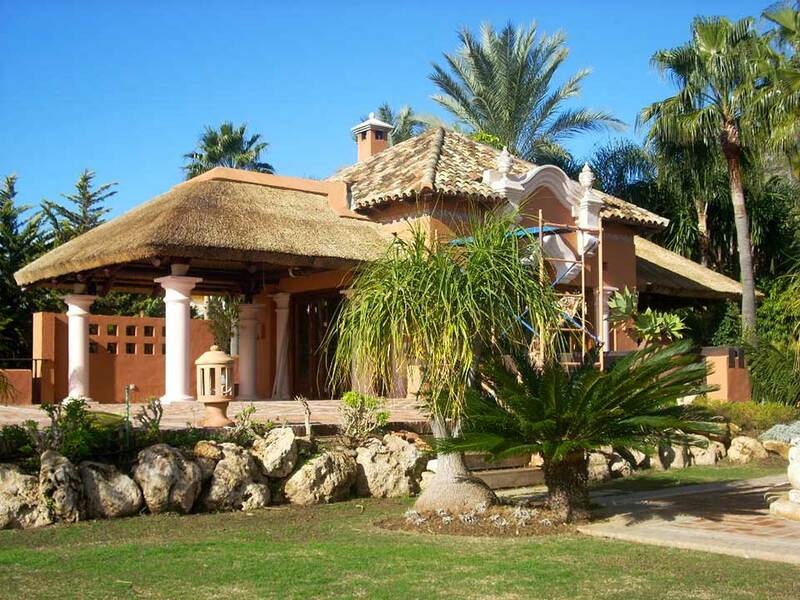 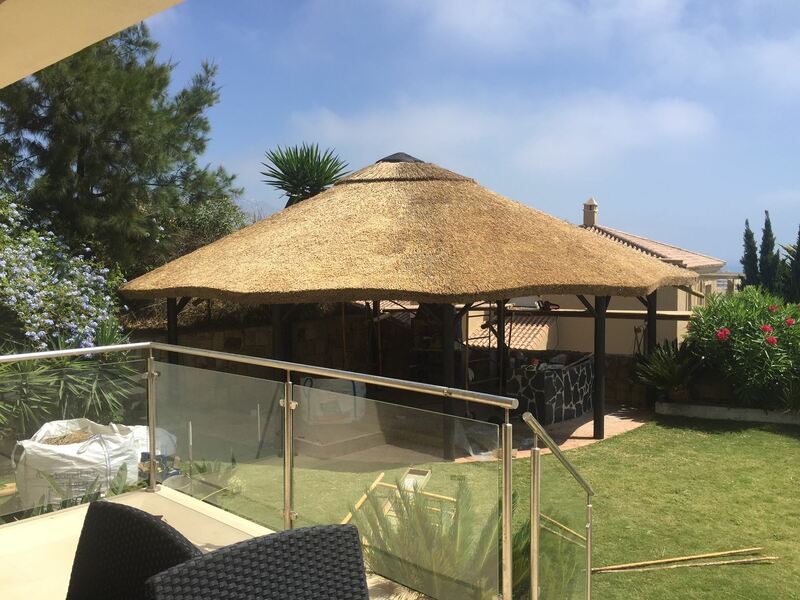 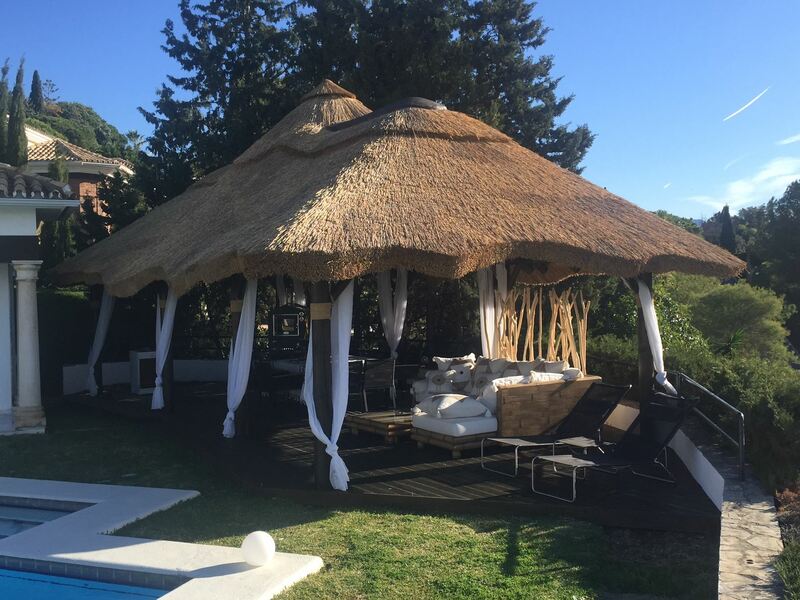 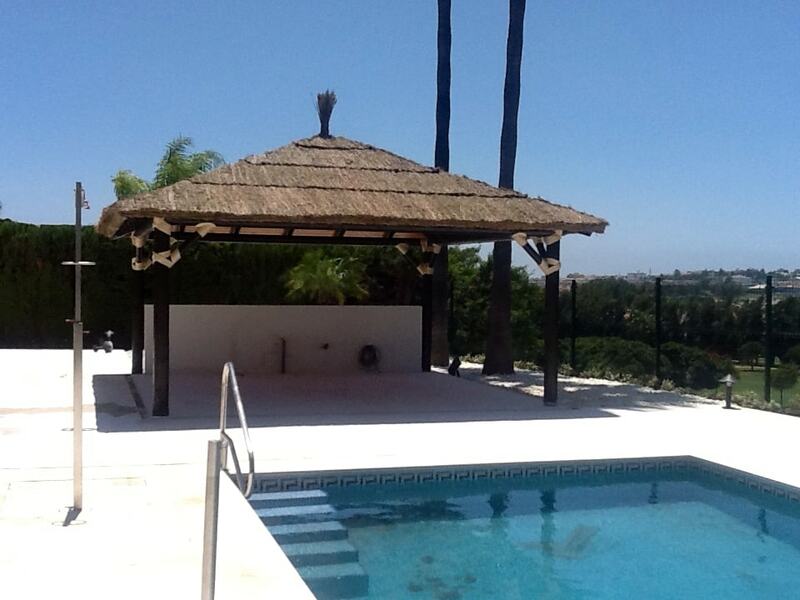 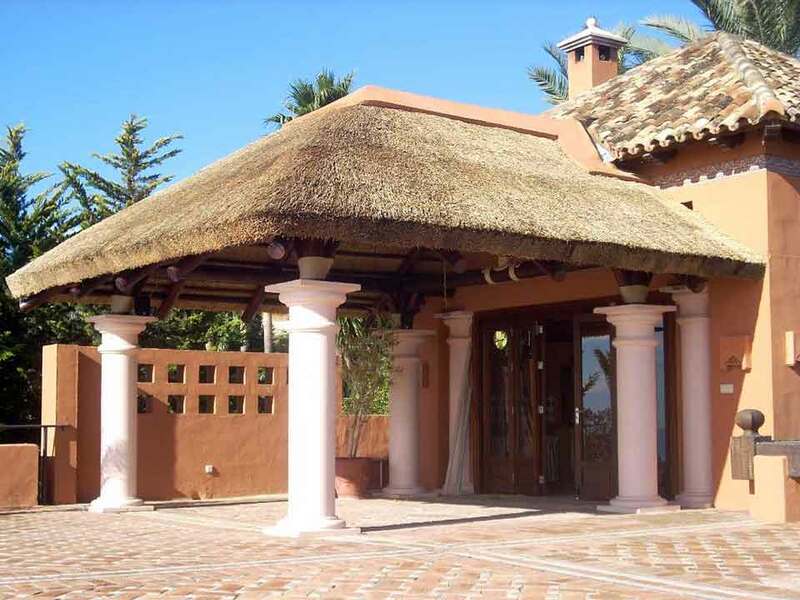 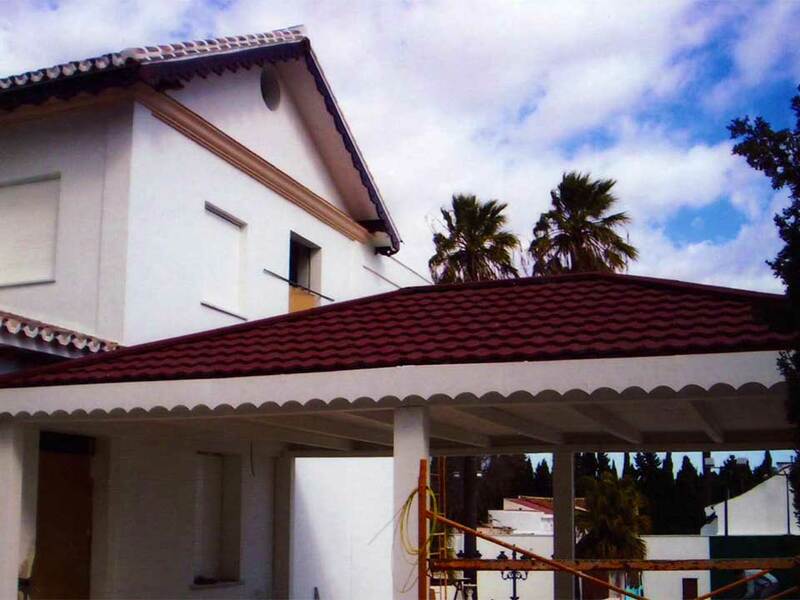 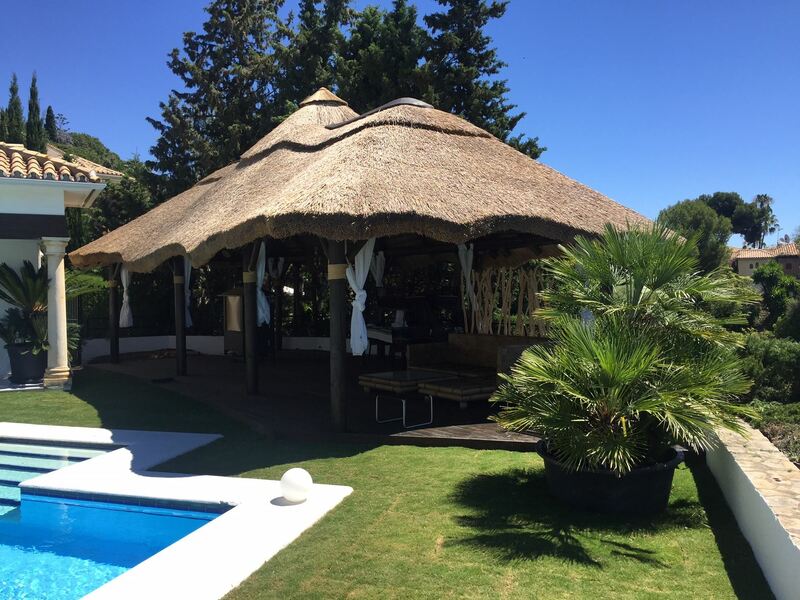 Thatch is the best choice for your garden guesthouse roof if you live in Costa del Sol. 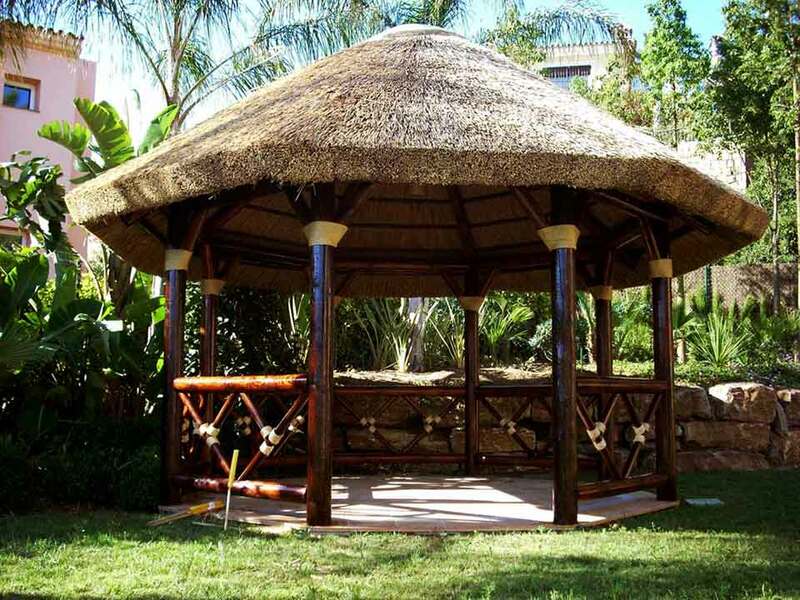 This authentic and eco-friendly material will keep the natural shadow in your club-house and create a natural oasis of warmth, peace, calm, and serenity.